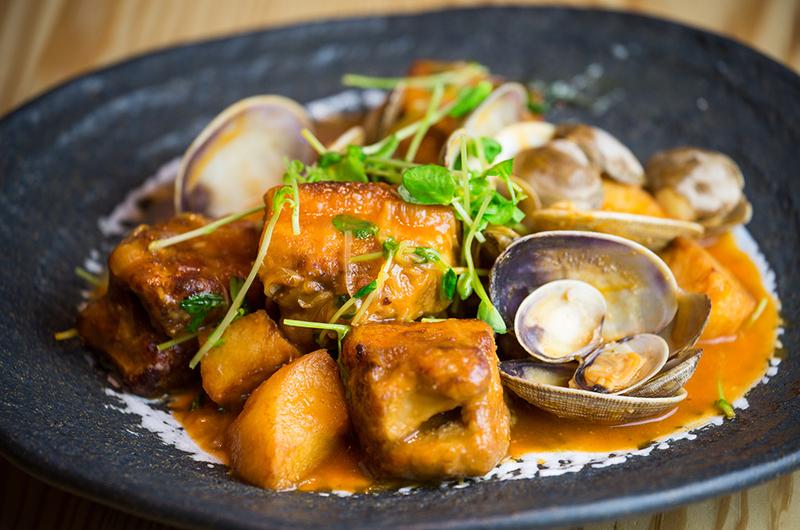 Keep an eye on our Facebook page and Powderlife.com over the next month as we introduce you to the best new local restaurants and revisit some old favourites. 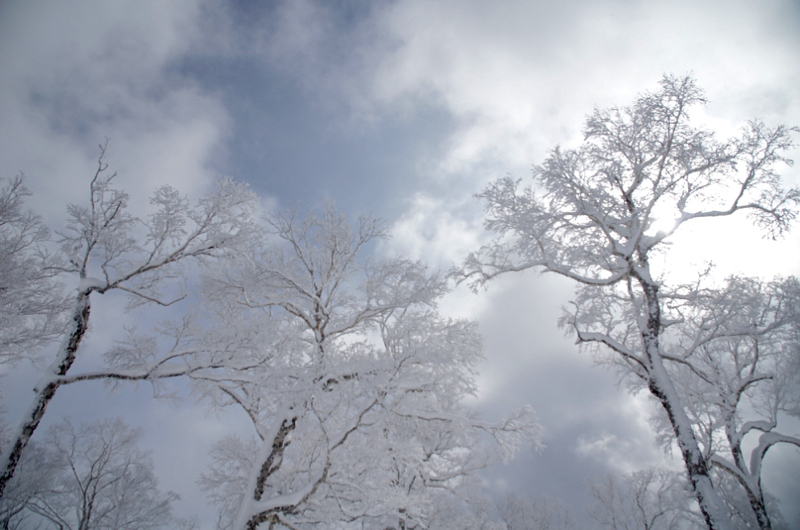 You’re in Niseko… why take a taxi when you can ski? 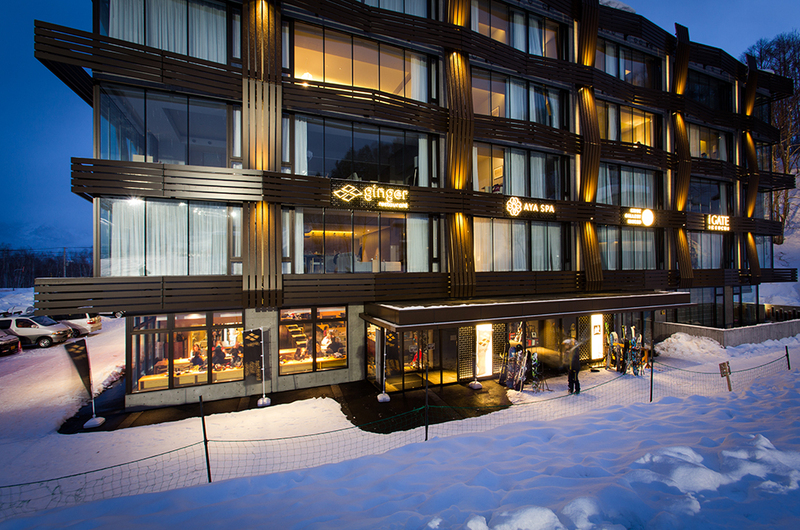 This year one of Hirafu’s hottest new high-end restaurants is ski-in. 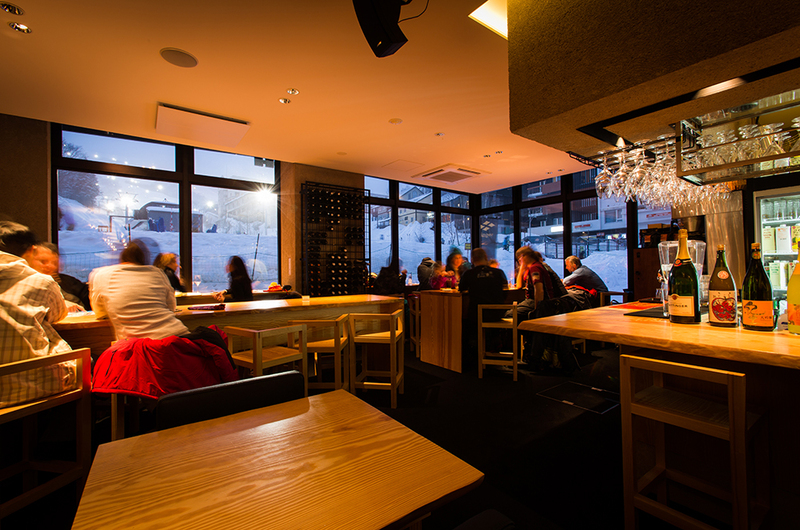 Ginger offers Japanese izakaya-inspired cuisine located on the slope-side level of beautiful new art-inspired AYA Niseko condominium hotel. You can ski right to the door, leave your gear with the ski valet, and stroll on in without even needing to take off your boots before being seated (booking ahead is recommended). Last lift back up is 8.30pm, so if you want to ski home you may need to head in around dusk, otherwise ski in until shortly after 9pm when the night-ski lights are turned off. Breakfast and lunch menus are also on offer during the day, with breakfast starting at 7am giving you ample time to fuel up before first lifts at 8.30am. 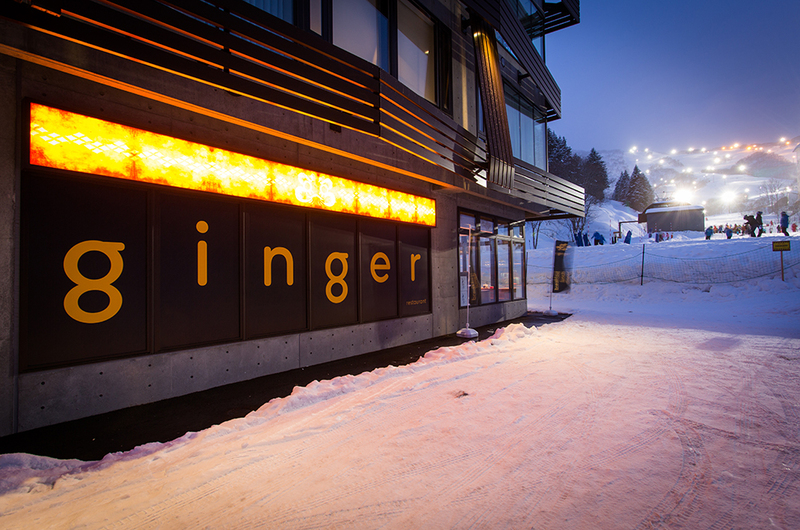 Floor-to-ceiling windows looking up to the slopes and the modern Japanese interior give Ginger a vibrant and stylish ski resort atmosphere. 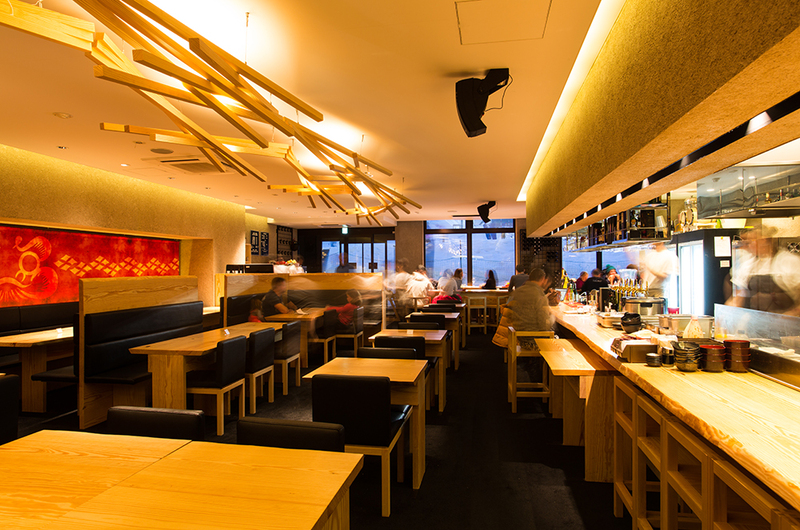 A long, open bar, kitchen and teppanyaki grill add to the excitement and intimacy with the staff and food. 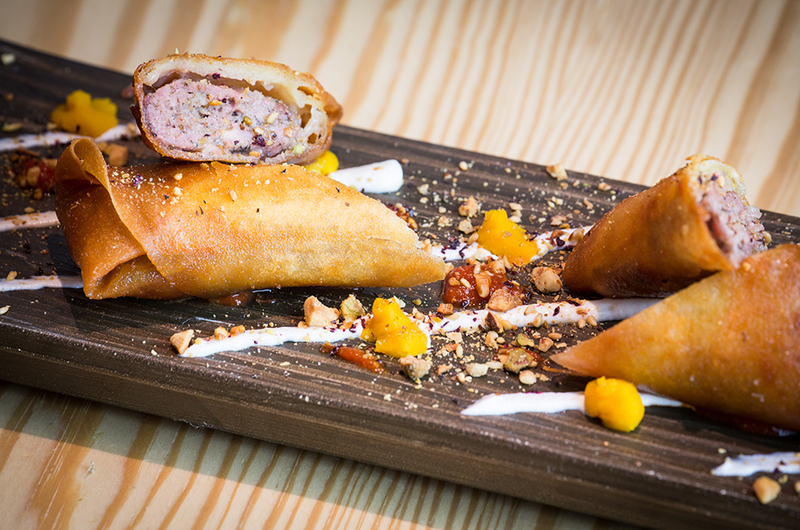 It’s as laid back and casual as high-end ski resort dining gets, and certainly a place to go with family and friends. 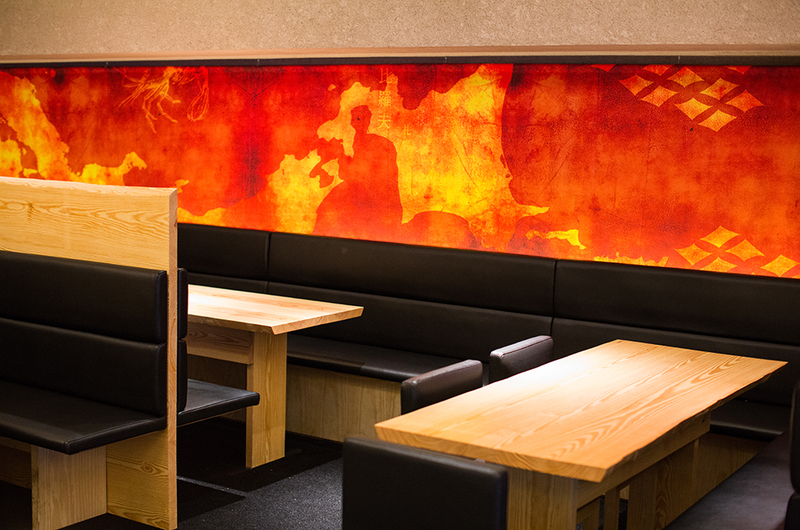 Ginger is headed by long-time Japan/Niseko resident, organic farmer and local celebrity chef Dennis van den Brink. Working alongside him and heading the kitchen are husband-and-wife team Aya and Nori – friends Dennis worked with at famous Tokyo restaurant Fujimamas after he first moved to Japan in the 1990s. 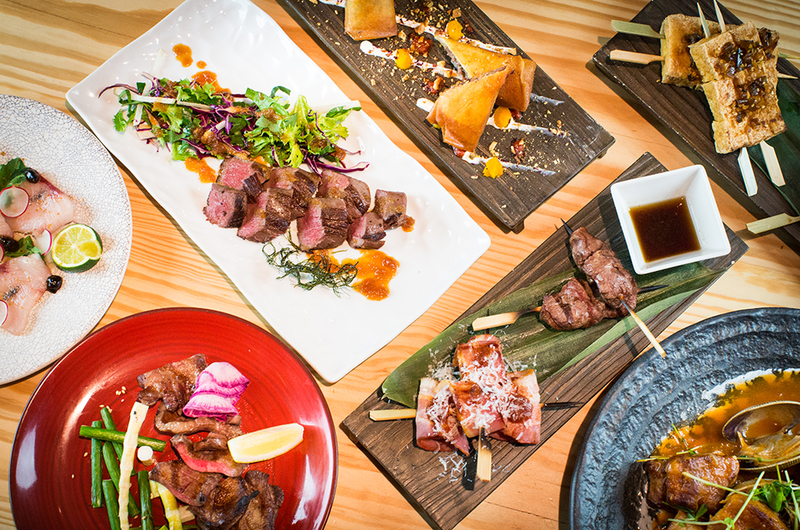 Almost everything on the menu at Ginger is sourced locally, either in Niseko or from speciality regions or ports across Hokkaido. 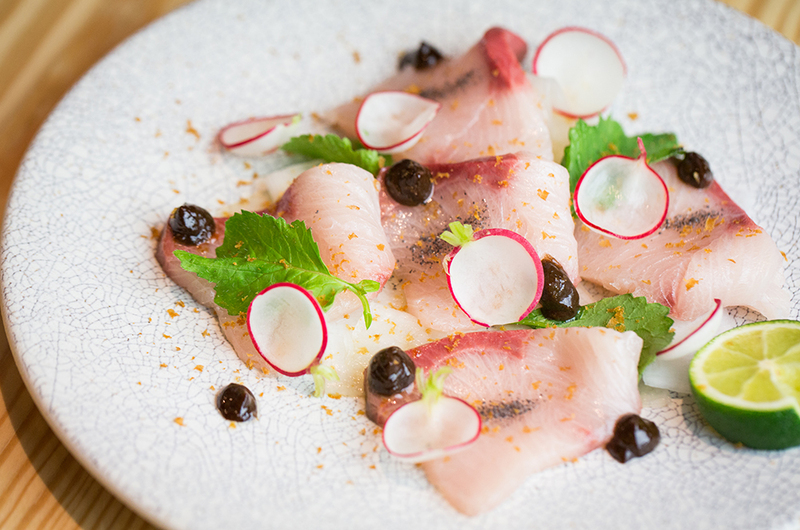 After ordering a bowl of obligatory izakaya starter edamame, we recommend a sashimi platter which will feature a selection of fresh catches of the day sourced from various local ports. 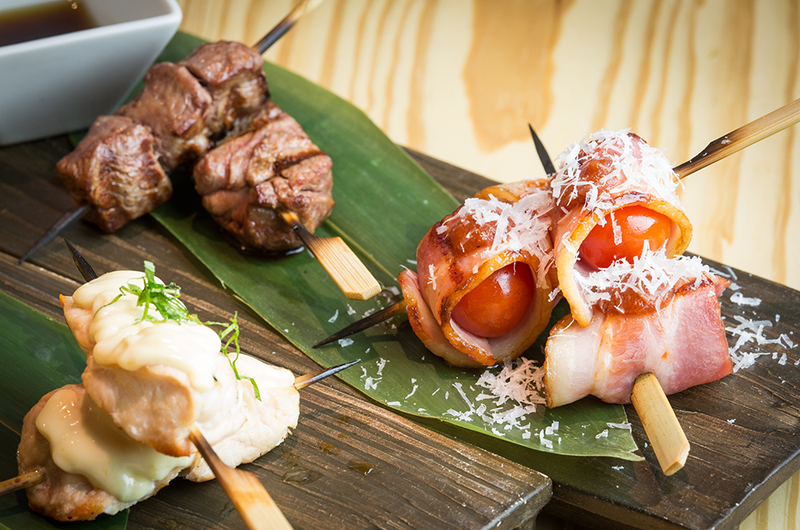 As per izakaya style, dishes are designed to be shared amongst a group. 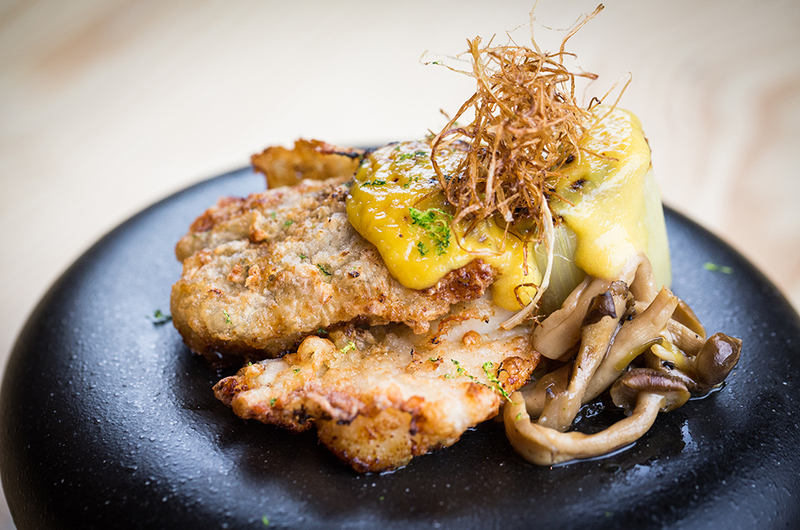 Ginger’s menu is divided into “Small” starter dishes; “Raw” seafood selections; “Robata” teppan-grilled meats and produce; “Surf & Turf” seafood, meat and produce selections; “Sides & Rice” accompaniments for main dishes; and “Sweet Classics” dessert offerings to finish off your meal. 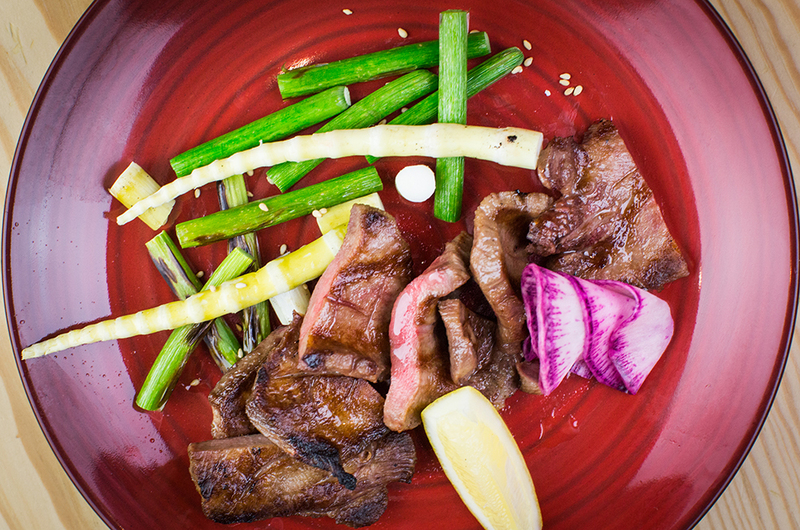 While in Japan you must try authentic wagyu beef, which we didn’t let off the hook. 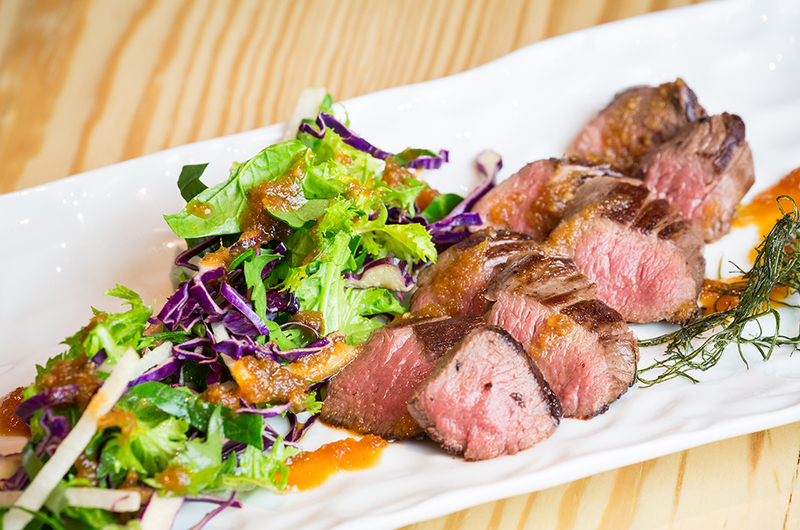 Ginger’s Hokkaido-sourced A3 wagyu offers an opportunity to try a medium-fatty cut of the local stock, sliced into bite-sized slices of soft, juicy meat drenched with a Japanese pepper sauce alongside fresh wasabi. There’s no particular ginger theme, but there’s plenty of ginger used in various dishes, and it can’t hurt to try order a Moscow Mule or other ginger-infused cocktail from the in-house bar. There’s also an Italian coffee machine with Dennis’s locally roasted Black Powder coffee. Ginger may be a sign of things to come in Niseko in terms of high-quality, on-slope restaurant dining. Ski on in and give it a try in its first season on the slopes of Hirafu!